Rockville DUI lawyer Rand W. Lucey, a partner, primarily handles criminal cases in the state of Maryland. He represents clients facing a variety of criminal and serious traffic charges everyday in both Circuit and District Courts in Maryland. As a criminal defense lawyer Mr. Lucey has tried two first degree murder cases before a jury. In 2010, Mr. Lucey convinced the highest court of Maryland to hear the appeal of an MVA case in which his client was denied the right to counsel. He went on to argue that case along with Mr. Jezic before the State’s highest court. Rand Lucey also has a successful coram nobis and post-conviction practice, seeking relief for clients who are suffering immigration consequences or other collateral consequences of criminal convictions. In 2010, criminal defense lawyers Lucey and Andrew Jezic convinced a Howard County Circuit Court Judge, in a coram nobis petition, to grant a new trial for their client who had pled guilty to killing her boyfriend in 1994. Despite her confession, the Judge vacated her guilty plea and in 2013, the State dismissed all charges in the case. (See Article). Mr. Lucey recently obtained a complete acquittal from a Talbot County jury in a serious traffic case. He has previously obtained complete jury acquittals for multiple clients in serious felony cases. Criminal defense lawyer Rand Lucey is also experienced in a variety of civil matters. He helped obtain a six figure settlement in a Virginia wrongful death case in which he was admitted as counsel pro hac vice. Mr. Lucey is licensed to practice in both the state and federal courts in Maryland and is a member of the Maryland Criminal Defense Attorneys Association, Montgomery County Bar Association and Maryland State Bar Association. 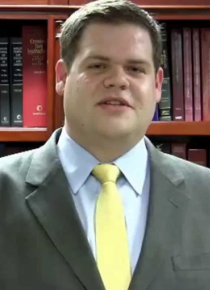 Rockville DUI lawyer Rand W. Lucey received his J.D. from the Catholic University of America, Columbus School of Law, where he was a Faculty Merit Scholarship recipient. He earned his B.A. in Economics and Political Science from the University of North Carolina at Chapel Hill. Mr. Lucey is a graduate of Our Lady of Good Counsel High School and is a lifelong resident of Montgomery County. You may email Mr. Lucey at [email protected] or call him in the office at 240-292-7200.